Senior Lance Jones dribbles down the home court of Beardsley Gym. It doesn’t have to be pretty if it gets the job done. 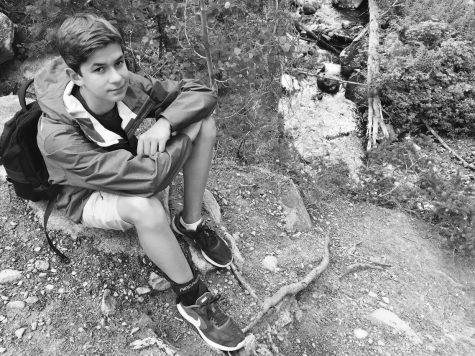 Offense was a luxury in the first half of Friday night’s game, as the teams went into the locker room with the score at 22-21 in New Trier’s favor. 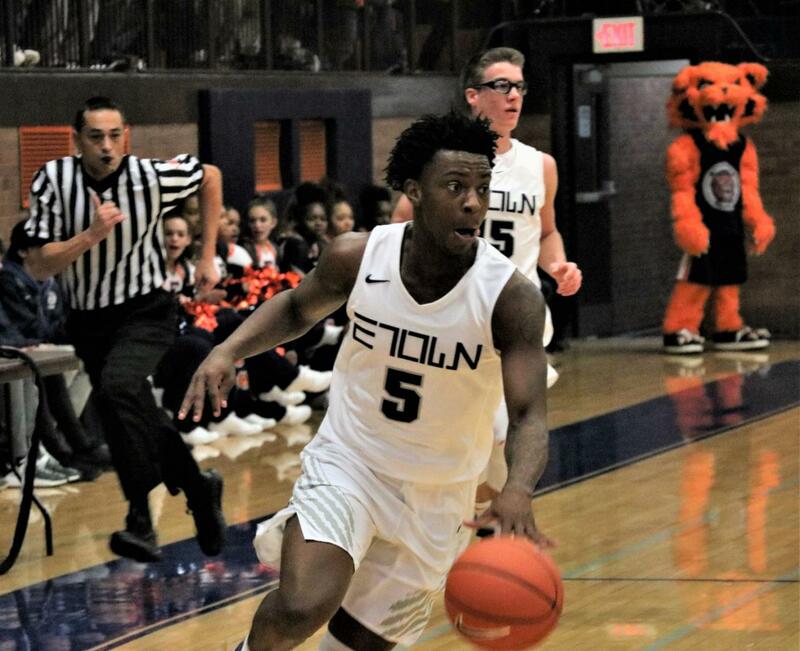 After the intermission, however, ETHS flipped the switch as the Kits scored 41 points in the second half, led by senior guard Lance Jones, who scored 15 of his 22 points in the third quarter. 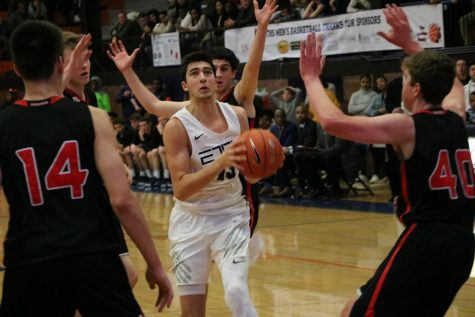 Jones’ urgency was on display as soon as the second half began, scoring the first ten points for the Kits while attacking the basket with ease. 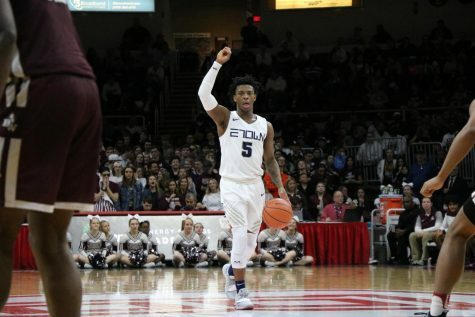 Jones’ impact was far more than just on the offensive side though, as the Southern Illinois commit tallied seven steals on the night to help spark Evanston’s offense with easy fast break buckets in the second half. 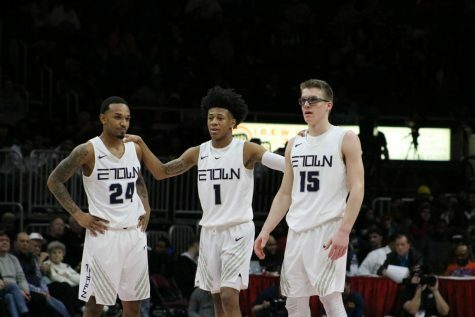 Despite New Trier missing their starting point guard Sam Silverstein and their star center and Harvard commit Ciaran Brayboy, they found ways to stay in the game until the end of the fourth quarter. 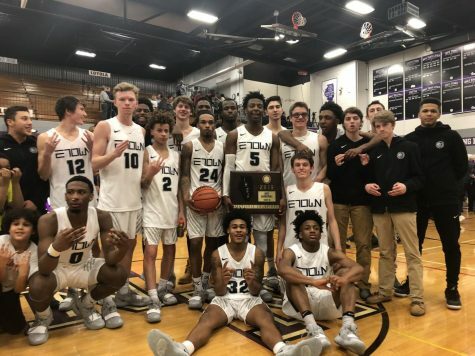 Fricke did all he could to put the Trevians in the best situation to beat the Kits and tie Evanston for the CSL South, but in the end ETHS’ lineup was just more talented than the Trevians and proved that by taking the game as well as the sole title of CSL South champions. 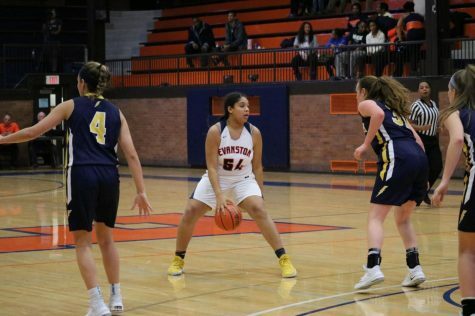 Evanston, 25-4 (9-1), has now won their last nine conference games after opening up the CSL slate with a loss to Glenbrook South. New Trier, 22-5 (7-3), will come stumbling into the IHSA playoffs later this month as they’ve lost two of their last three games. Both teams have one regular season game remaining as the Kits will battle Glenbrook North in Beardsley Gym on Wednesday and New Trier will host Deerfield on Tuesday before the rivals will be seeded 1-2 in the Niles North sectional tournament, with ETHS earning the top seed.